Oil / Gas industry managers are required to optimise production, whilst keeping costs down and complying with increasing demands to improve asset integrity, often with ageing equipment. EM&I’s 30 years of Oil / Gas and Marine experience bring a unique and integrated range of asset integrity, inspection, repair, maintenance and corrosion protection services, proven to assist Operators and meet their asset integrity requirements in a safe and cost efficient way. EM&I are different – we provide a package of services, supported by in-house engineers, tailored to meet your exact needs. 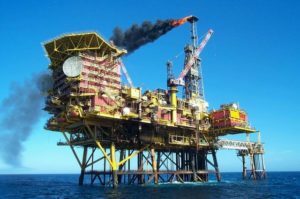 These services focus on ensuring that your pressure systems, structures, hazardous area equipment, lifting equipment and corrosion protection systems remain fit-for-service and compliant with corporate and regulatory requirements. Our proprietary innovations include the NoMan® system which allows for pressure vessels and other confined spaces to be inspected without man entry, using remote cameras, laser scanning and other specialised inspection tools, thus reducing cost and increasing availability of equipment. The EXI™ Ex Equipment inspection system uses RBI inspection strategies, non-intrusive NDT and multi-skilled COMPEX certified technicians to minimise work scope, equipment strip down and costs. Our PSI™ system is a world leading RBI based service for pressure systems that uses the latest technology methods such as Real Time Radiography (RTR) and Backscatter Computed Tomography (BCT ) to manage CUI and non-intrusive vessel inspections. The ODIN® diverless underwater inspection system is accepted by the major class societies and regulators and eliminates the use of divers and work-class ROVs for fixed and floating installations. ODIN can also be used for repair or replacement of isolation valves and piping without diving operations thus reducing costs and POB substantially. EM&I can assist you to create, update and manage a compliant and cost optimised asset integrity system, provide supporting inspection management and NDT services and maintain or repair critical equipment to ensure it remains fit-for-service. We can deliver these services anywhere in the world through our global network using local resources to optimise costs. If your project is international, our internationally accredited quality assurance systems ensure you get a consistent standard of service excellence. EM&I’s experience, global capability and wide service range provides you with a high value, world class service whatever type of assets you operate. EM&I’s constant investment in R&D and over 30 years global experience bring the benefits of reduced cost, risk and increased value to your business. Our internationally accredited safety and quality assurance systems ensure you get a safe and consistent standard of service excellence. Our strong relationships with class and regulators makes us different because we work together to challenge convention and bring step change benefits to your business. Our strategically placed operational bases with local resources supported by expert supervision meet local content requirements while maintaining the highest safety and quality standards. We measure our performance through systems like FPAL and unsolicited testimonials. Our proven track record of satisfied Clients is available here. Further information is available from your nearest EM&I office who will be pleased to discuss your particular needs. Case Histories and References, demonstrating our capabilities and Client satisfaction, are available here. Health & Safety – EM&I has an outstanding HSE record and has been granted the RoSPA President’s Award in recognition of winning ten consecutive RoSPA Occupational Health & Safety Gold Awards including five Gold Medals and numerous other international awards. Other safety awards include IFAP Safe Way Safety Achievement Awards and the Leith Offshore Safety Award. Quality – We assure quality through accredited ISO 9001 and ISO 17020 management systems and seek continuous improvement by measuring Client satisfaction through FPAL and regular Stewardship Reviews. Compliance – EM&I’s methods are approved by Classification Societies and accepted by regulators worldwide. Rope Access – EM&I have been a Full Member of IRATA since its inception in the 1980s. HITS JIP – EM&I have a leadership role in the Hull Inspection Techniques and Strategy (HITS) JIP whose members include Oil Majors, Classification Societies, Regulators, Lease Operators and service companies. EM&I’s proven technical and project management capability means we can deliver complete projects letting you focus on your core business. Our in-house service capability includes Asset Integrity Systems, Inspection, NDE, Maintenance & Repair, Corrosion Management, Cathodic Protection, Safety, Environmental and Engineering services.